A nanny is someone who provides care for children when parents and other family members are unavailable. They often work out of the homes of the children in their care. Nannies are responsible for the children’s basic care. They may also be responsible for cooking, cleaning, and driving the children to various activities. If you would like to be a nanny, here are some tips on how to write a strong nanny resume, as well as a nanny resume example. Designing a resume and writing a cover letter from scratch can be time-consuming and difficult. An example helps you with the layout of your document. Examples show you what elements you need to include in your document. Resume and cover letter examples can also give you ideas of the type of language you want to use. For example, a sample resume might show you the kind of action words you should include in your own resume. You can use an example as a starting point for your own document. However, you should always be flexible. You can change any of the elements of the example to fit your own needs. For example, if an example resume lacks a skills section, but you want to include one, you should do so. Your resume should always fit your individual work history and the requirements of the job for which you are applying. While each resume should vary based on your particular experience and the job description, there are a few things you should consider doing on any nanny resume. Consider writing a resume profile or summary. A resume profile or resume summary statement is a great way to concisely demonstrate why you are qualified for the job. In a few sentences, you can explain your childcare style, as well as what makes you stand out among other nannies. Include any relevant childcare experience. Any childcare experience is worth putting on your resume, even if it was not specifically a nanny job. Did you work in a preschool? Did you volunteer at a children’s event? List any experience that shows you have successfully taken care of children in the past. Include certifications. Parents and guardians often look for nannies with certain certifications. If you have any relevant certifications – including CPR, First Aid, or even a valid driver’s license – mention these. Consider making a separate “Certifications” section on your resume to list all of these. Consider including a “Skills” section. A “Skills” section on a nanny resume is a useful place to mention what makes you a unique nanny. List any skills, interests, or hobbies that might be useful on the job. For example, mention if you speak another language, play a particular musical instrument, or have any other hobbies or skills you could bring to a nannying job. This is a cover letter example for a nanny. Download the nanny cover letter template (compatible with Google Docs and Word Online) or see below for more examples. Please accept my enthusiastic application for the position of summer nanny for your two children, Tara and Taylor. As soon as I saw your advertisement on Nannies4hire.com, I knew I was the perfect candidate for the position. I believe my experience working with elementary school children, my tutoring background, and my knowledge of arts and crafts would make me an excellent nanny for your daughters. You state in your advertisement that your children are in first and third grade. I have extensive experience working with children around these ages. As a camp counselor for two summers, I worked primarily with groups of seven-year-olds. I have a strong understanding of the general abilities and interests of children at this age. I also lead weekly arts and crafts lessons for children between the ages of five and twelve. I therefore know what sorts of games and activities would be most appropriate for your children. You also explain that you want a nanny who will provide some academic instruction for your children. As a tutor for two years, I have a background in teaching information to younger students. I have tutored Spanish in the past but would love the opportunity to teach your children in any subject you desire. Finally, I have a strong interest in arts and crafts and would love to design crafts to create with Tara and Taylor. As a volunteer at a daycare center, the Vice President of my high school’s arts and crafts club, and a camp counselor, I have designed over thirty crafts and led dozens of lessons on how to create these crafts. Many of these activities would be perfect for your children and would provide them with stimulating entertainment for hours over the summer. My passion for working with children, my tutoring experience, and my love of arts and crafts would make me an excellent nanny for your two children. I have enclosed my resume and will call within the next week to see if we might arrange a time to speak together. Thank you so much for your time and consideration. This is an example of a resume for a nanny position. Download the nanny resume template (compatible with Google Docs and Word Online) or see below for more examples. 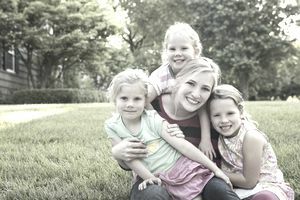 Creative, responsible nanny with 10 years of caregiving experience. Successfully maintain a safe environment for children while providing fun, imaginative, yet educational activities for children of all ages. Volunteer weekly at a daycare in local women's shelter. Create and lead arts and crafts activities for children ages 5 to 12 in shelter. Conceptualized and led fundraising initiative that raised $1500 for new craft supplies. Served as caregiver for family with three young children. Organized activities for children, transported children to summer programs, and provided childcare while parents were working. Responsible for leading a group of 12 seven-year-old children through a series of daily activities. Designed weekly art projects for campers, purchased necessary materials, and led entire camp in step-by-step demonstration and lessons. Cover letter samples for a variety of career fields and employment levels, including an childcare/social services example, internship cover letter sample, entry-level, targeted, and email cover letters.